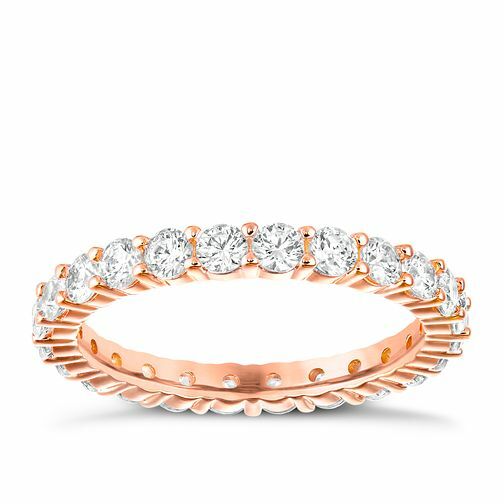 Add a sparkling finishing touch, with this chic Swarovski crystal set rose gold plated ring. Designed to combine with other rings from the Vittore collection for a fashion forward look that simply dazzles. Swarovski Vittore Rose Gold Plated Crystal Ring Size Medium is rated 5.0 out of 5 by 1. Rated 5 out of 5 by Anonymous from This product was perfect I bought the ring for my mum for her 50th birthday, she absolutely loved it. I was very impressed with the standard of this ring, all her friends said they were either going to get there husbands to buy one or really wanted one!